This little film tells an interesting story without using any words. It was made to promote a live action role-playing game called Magmanite in 2011. You can check out the rest of the Unusual Duel videos by Atlas Obscura here. Yestervid is a super cool website that compiles footage from the earliest days of filmmaking. This montage features some of the oldest film and sound recordings around the city of London, and they have a map showing the exact location and camera angle for reference. Jack the Ripper is the world’s most famous serial killer, both because of the brutality of the murders and the fact that the crimes are still unsolved. 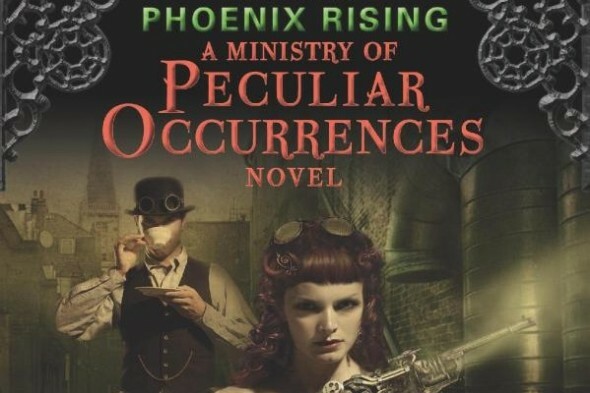 I have seen many Steampunk works make reference to the Whitechapel Murders as a means of situating their stories in time, as well as Jack appearing as a character in movies and books. But with so many interpretations floating around, it can be hard to keep the facts straight, so here is a cheat sheet to help you get it right. In 1888 there were a string of murders in the Whitechapel District of London. Due to the similarities between the victims, modus of the murders, and the proximity of the crimes they were attributed to the same killer. There are five women who are generally accepted as victims of the same serial killer, but there easily could have been more murders that were never discovered, or there could have been more than one murderer. Murder #1: Mary Ann Nichols, killed sometime between 2:30 and 3:30 a.m. on August 30, 1888. She was an alcoholic, which led to her separation from her husband in 1882 and her inability to keep any other job than prostitute. Her throat was cut and her abdomen was mutilated. Murder #2: Annie “Dark Annie” Chapman, killed at approximately 5:30 a.m. on September 8, 1888. After the death of one of her children by meningitis, she and her husband both became heavy drinkers and separated in 1884. Her husband was required by law to provide for her welfare, but he died in 1886 from alcohol poisoning. She tried to support herself through crocheting and selling flowers, but was also involved in prostitution. Murder #3: Elizabeth “Long Liz” Stride, killed sometime between 12:35 and 1:00 a.m. on September 30, 1888. Her throat was cut and her abdomen was mutilated. The postmortem doctor identified the weapon as a thin knife blade, approximately 6-8 inches in length. Like the other victims she and her husband separated, but she was a prostitute before and after her marriage fell apart. She spoke Yiddish and Swedish in addition to English. Murder #4: Catherine Eddowes (aka Kate Conway and Kate Kelly), killed a few hours after Elizabeth Stride on September 30, 1888. She left her first common-law husband, Thomas Conway, and her three children in 1880. Later, she took up with John Kelly and they lived together in a lodging house on Flower Street. The night of her death she was arrested for drunkenness and held at the Bishopsgate police station until approximately 1:30 a.m. Within minutes she was killed on her way home. Her face and her abdomen were mutilated, and a piece of her ear as well as her kidney was taken by the killer. Murder #5: Mary Jane “Fair Emma” Kelly (aka “Ginger” and “Black Mary”) was killed November 9, 1888. 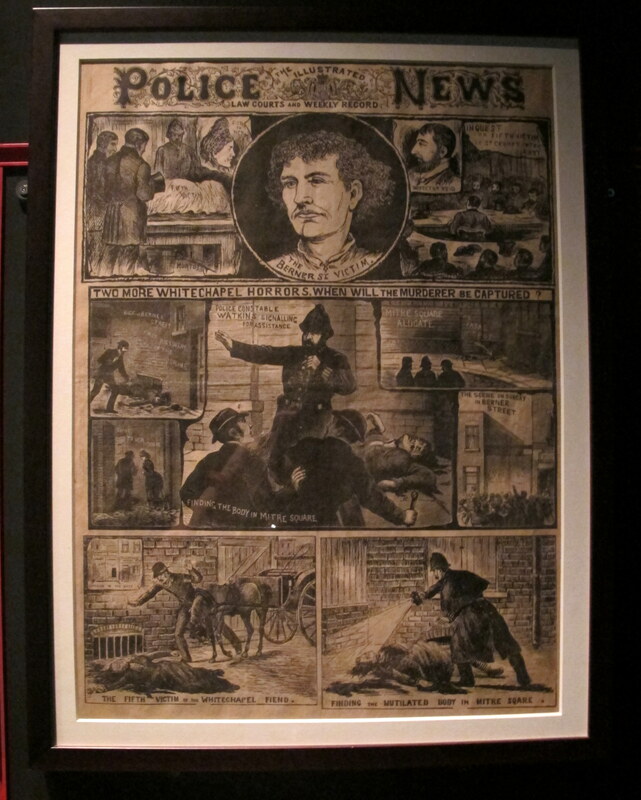 It is believed that the increase in police patrols accounts for the lag between the deaths of Eddowes and Kelly. Her origin is less well-documented than the other victims, but sources say she was the widow of a coal miner with the surname Davies who died in an explosion around 1881. Like the other victims, she was a drinker and reportedly sang Irish songs while enjoying her gin, so it is believed she hailed from Ireland. Unlike the other victims, she was found murdered in her home around 10:45 a.m. and the time of death was set at between 6 and 8 a.m. that morning. Her body was extensively mutilated, the coroner believed the murderer took more than two hours to complete his task. During press coverage, the killer was most often referred to as “The Whitechapel Murderer” or “Leather Apron” because of the aprons worn by butchers. The name “Jack” became connected to the murders after letters began to arrive at news outlets and signed by that name. The five canonized Ripper killings occurred between August and November of 1888, but police continued to investigate a total of 11 murders that they suspected were linked up until 1891. Historians and hobbyists alike have speculated over the identity of The Ripper, and some sources say as many as 500 different people (including at least one woman) have come under suspicion. Many of these people were not suspects during the actual investigation and that is far too many to talk about here to I will only highlight the most well-known and/or plausible. According to some, Jack’s identity was already discovered in 2014—or was it? A silk shawl that supposedly belonged to one of the victims underwent DNA testing starting in 2007. In 2014, a book by Russell Edwards detailed the findings of scientist Jari Louhelainen, who claims to have definitive evidence that identifies Aaron Kominski as the notorious murderer. Kominski came under suspicion in 1888 at the age of 23 and died in a mental institution 30 years later. Unfortunately, Louhelainen made at least two major errors in his analysis that were brought to light in October 2014, rendering the conclusions useless. The search continues. Others think that the Jack the Ripper conspiracy went all the way to the highest levels of government. Spoiler alert! In the 2001 Johnny Depp flick called “From Hell,” Jack is in fact Prince Edward “Eddy” Victor, aka “grandson” to queen Victoria. According to the theory, Eddy impregnated a low-class girl (and a Catholic no less!) and to avoid the scandal, the queen ordered the matter be “taken care of.” Annie Crook and her royal offspring are spirited away by the royal physician, John Gull, but her friends like Mary Kelly are making too much noise about the disappearance and must be silenced. The serial killer who hates prostitutes is created to cover the real scandal and claims many victims. Others actually suspect John Gull himself as the murderer because of the precision of the cuts made to the victims and the fact that Jack was never caught points to some kind of conspiracy in the minds of many enthusiasts. One of the more likely suspects is Seweryn Klosowski (aka George Chapman), a Polish-born Jew who had only been in Whitechapel a short time before the murders began. In 1903 he was convicted on three counts of murder and hanged for killing his wives. This would seem to make him a very good suspect indeed, but he killed his known victims with poison, not brutality, and serial murderers rarely change their modus operandi. John Pizer was arrested in 1888 for the murders, but was later let go because he had alibis (including talking to a policeman) during two of the five canonical murders. The Sergeant who arrested him, William Thicke, allegedly had personal animosity against Pizer and no evidence whatsoever. Pizer sought reparations from at least one of the news outlets that reported he was the murderer. Thicke was later accused as being The Ripper in a letter sent to The Home Office, but this was likely a hoax and was never followed up on by the authorities. 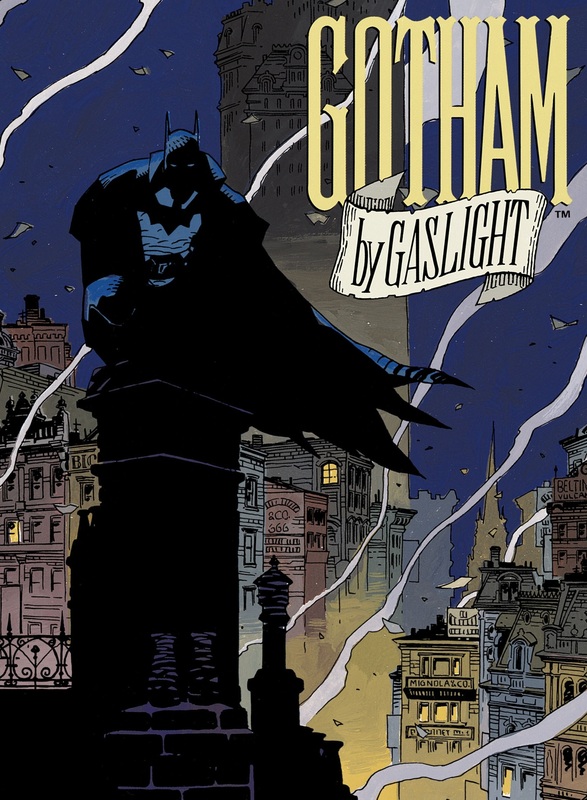 Gotham by Gaslight (1989) pits Jack against Batman in Gotham City. In the Steampunk Chronicles series by Kady Cross, Jack is a character. Ripper (2012), by Stefan Petrucha, follows the quest of young man from New York City to find his father in London, but instead finds himself in the middle of a murder investigation. Ripper (2012), by Amy Carol Reeves, is about a young woman who is volunteering at a Whitechapel hospital and has visions of the Ripper’s murders before they happen. “Time After Time” (1979) Jack the Ripper uses H. G. Wells time machine to escape his own time and is pursued by Wells to San Francisco, CA. 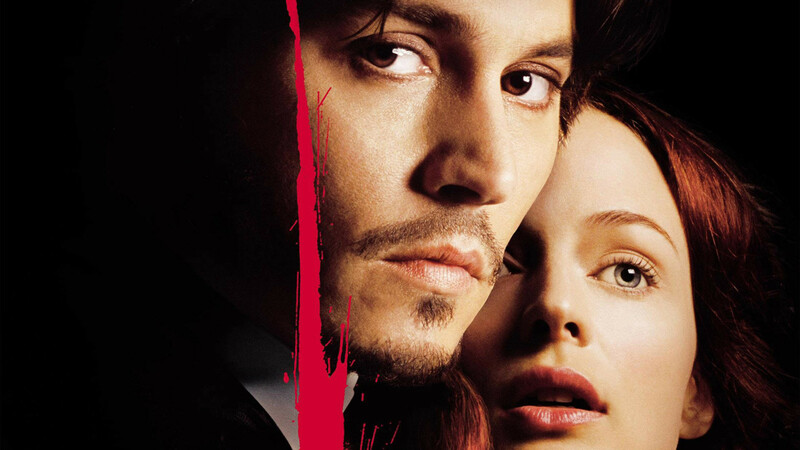 “From Hell” (2001) Johnny Depp and Heather Graham star in this film that takes its name from one of the famous Ripper letters that were sent to the press. “Progress” is a webseries that operates in an alternative Victorian London where there is already a steam-powered internet. You can watch the first three episodes for free at progresstheseries.com. 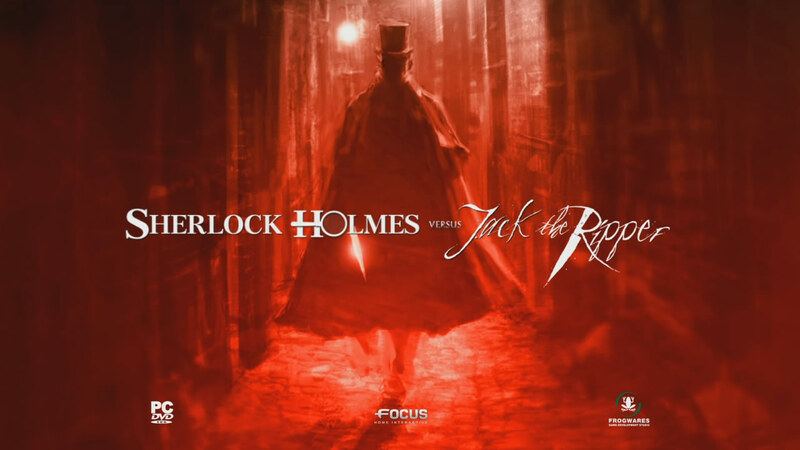 A game for Xbox 360 and Microsoft Windows entitled “Sherlock Holmes vs. Jack the Ripper” was released in 2009. Did I miss and Ripper references, books or movies you know? Please leave a comment so I can add to my list! I was just putting the finishing touches on my Jack the Ripper Sourcebook for Steam Tour and I ran across an intriguing webseries called “Progress.” This “period cyber-thriller” takes place in an alternative Victorian London. A hacker uses the steam-powered internet to investigate a coded message written by Jack in an attempt to save the lives of his intended victims. It was originally an Indiegogo campaign in 2013, but even though it fell short of its funding they have made the first three episodes of the intended 10-part series in hopes of courting a larger production company. The trailer is below, and you can watch the chilling episodes (and perhaps make a donation?) at their website. Get Ready to Celebrate Halloween all Month Long with ForWhomTheGearTurns! That’s right folks, it’s time for a monster mash. One popular way to “punk your steam” is to add elements of the supernatural to the tales from history, offering explanations that incorporate ghouls such as vampires and werewolves rather than what the history books say, as well creating brand new narratives where monsters play a role. 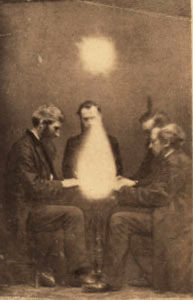 Also, the Victorian era saw the birth of Spiritualism, the belief that spirits of the dead could and often did communicate with the living. All Hallows Eve, which has now been shortened to Halloween, celebrates the creepy and costume, and Steampunk seamstresses and seamsters, make-up artists and makers the world over use it as a chance to showcase their talents and share their knowledge. Halloween has always held a special place in my heart, and in fact I launched this blog on October 31, 2013, so October is also my countdown the my first blogging birthday. Join me all month long for reviews of Steampunk movies and books that feature monsters and witches, costume construction tips from the sessions I attended at Weekend at the Asylum, LARP-ing games to give you an excuse to dust off your costume early, and other spooky fun surrounding the history of ghost stories and the practices of Spiritualism. Do you have a scary or supernatural Steampunk story or photos of your Halloween creations that you would like to see appear on this blog? Send them my way at ForWhomTheGearTurns@Gmail.com. I can’t guarantee that I will post everything I receive, but I would love to get some submissions from readers. Make sure that you include the name you would like your creation attributed to as part of your email.